This gorgeous feminine dress features a high neckline and paneled bodice with a beautiful draped skirt. The asymmetrical hemline and cross-over lace up straps add some flirty charm to the sophisticated silhouette. 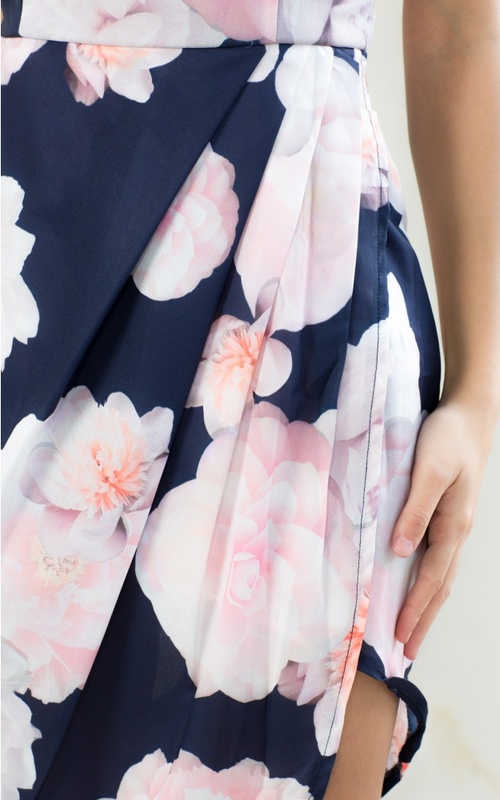 We love this graphic floral print! Style with a pair of heels for the perfect formal event outfit.